This is a dynamic, fantastic and true story of Angels appearing at a time when least expected and make an impact that forever altered the course one mans life. Then 10 years later he was in a tragic accident, as he lay dying on the ice-cold streets of Dallas Texas, angels came on the scene again. The accident sent him on a new journey and left him fighting for his life and he is now living life as a Dis-abled man, an amputee. Bringing Inspiration Hope and Encouragement everywhere he goes. This story is about much more than Angels. 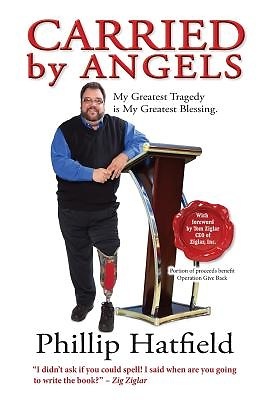 It is about the amazing story of Triumph over Tragedy and Phillip story of how "My Greatest Tragedy Is My Greatest Blessing."